For those of you who read my post recently about writing circles, I wanted to update with some other ideas of how this is working for me in my classroom. I have my writing circles meet once a week on the same day. This consistency helps the kids stay organized and they know that on Tuesdays they will be expected to share their writing with their group. At the end of each session I have the students pick their topic for the following week. I also have them pick who will be the first reader (the person who will read his/her piece first next week) and the task master (the person to keep everyone on task and to make sure they listen to each other and everyone shares). Before the groups meet, I have the students write three topics they would like to write about in their notebooks. Then I have them pick their top idea and write that on the notecard and bring it to the group. This way they aren’t influenced by each other’s ideas. Also it makes things move more quickly. I am going to have my students pick their favorite writing and add it to their blog. Then I am going to have them comment on each other’s writings via their blog. This will enable students who are not in each other’s writing groups to be able to hear others writings and comment on them. 1. Top ten reasons to read this book. 2. Top ten things, or reasons, I hate or love about my character. 3. Top ten favorite quotes from my book. 4. Top ten questions I would like to ask the author of my book. 5. Top ten lessons I have learned from this book. 6. Top ten places mentioned in my book. 7. Top ten things I wanted to scream out loud about my book. 8. Top ten things I can’t stop thinking about in my book. 9. Top ten other movies, books, magazines and other world events that have happened that relate to my book. 10. 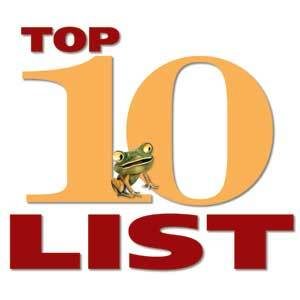 Create your own top ten list that fits your book! Book Blogging Beats Boring Journals! Last week was the first week we blogged about our books. I took the kids to the lab, gave them their username and passwords and the directions and rubric for the blog. We talked about what makes people want to read a blog ( pictures, color, video clips etc..- not just plain black and white). The first week they wrote a brief summary of their book and them made connections (text to text, text to self and text to world). Once they all were logged in- the lab was silent for the rest of the period. They were writing up a storm! They were really into what they were doing because they knew had an authentic audience (they were all going to read each other’s blogs), so they wanted to make sure that what they wrote was good. I gave each student one week to complete their blog and post it. What I love to see are the students commenting on each other’s posts and making comments about putting books on their ‘books I plan to read’ sheet!! So far I am very pleased with how the blogging is going! If you are thinking about blogging and worried about privacy and parents etc… check out kidblog.org. It is a safe place for kids to get blogging!